In the fifth century the Abbey of St Etienne of Dijon had a regular chapter which observed the Rule of St Augustine; it was given over to the secular canons, and later Clement XI made the church the cathedral of Dijon. The image of Our Lady of Dijon in Burgundy was formerly named the “Black Virgin,” and “Our Lady of Good Hope.” In the year 1513, Mary miraculously delivered the city of Dijon, the ancient city of the Dukes of Burgundy, from the hands of the Swiss. The German and Swiss forces coming against them totaled 45,000 men, and although Dijon was well stocked for a siege, they only had perhaps 6,000 defenders. There were plenty of arrows, but little gunpowder, and most of the French cannon needed repairs. The invading force was so sure of success that they there were columns of empty wagons pulled behind the army to bring back the loot they expected to take from the French towns and monasteries. The Monastery at Beze was not spared, as even dead monks were dug up in search of treasure. The army arrived on September 8, the solemnity of Our Lady’s Nativity. There were so many men that the defenders saw nothing but a vast sea of shining armor wherever they gazed. The Swiss opened up with heavy cannon fire the next day, yet there were surprisingly few fatalities. When breaches were made in the walls and the enemy attacked, they were repulsed with heavy loss of life. On Sunday, September 11, a procession was organized after Mass. The “Black Virgin” was carried through the streets as the French prayed to the Mother of God to spare them from their deadly enemies. The following day a treaty was signed, and the conflict ended unexpectedly. In thanksgiving for this favor, she was titled Our Lady of Dijon, and general procession to her shrine is made every year. During the French Revolution the church suffered the outrage of being transformed into a forage storage house. 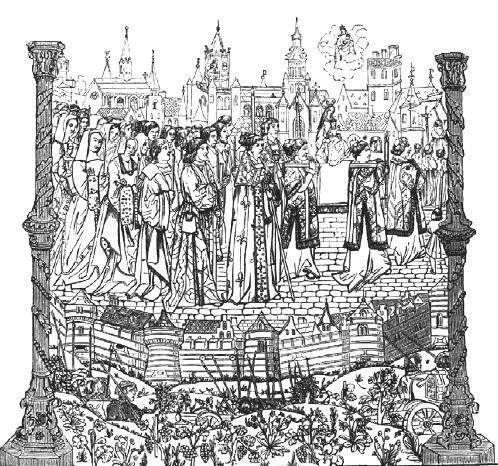 Afterward, in atonement to Our Lady for this insult, the faithful of France rebuilt the shrine, and pleaded that the Holy See grant numerous relics and valuable keepsakes to be placed there. Our Blessed Mother responded to the generosity and love of the people by granting favors and cures and extending her God-given miraculous power over the people. In 1944 the German army occupied the city of Dijon. 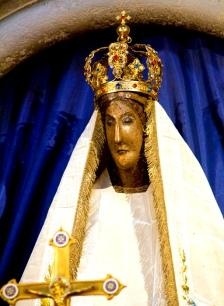 The people turned to Mary, praying: “Holy Virgin, Compassionate Mother, you who protected our knights of old and who delivered our city from enemy attack, you maintained our ancestors in their times of trouble…Our Lady of Good Hope, pray for us.” On September 11, the Nazi army unexpectedly left Dijon.